Every family has a history and that history took place in a series of particular places. In order to help genealogists understand places where their families lived, the Newberry Library's Genealogy and Local History Section created an free and openly accessible online source called ChicagoAncestors.org. This is the second iteration of that program which I will discuss and demonstrate. The site provides georeferenced images as well as historical documents and links to added materials to provide as broad a range of materials as possible. Churches, streets scenes, stories of pioneer families of Chicago, and other materials are available. In addition we have provided Resources and Articles to enhance the learning experience. Every place has its eccentricities in its history from street renaming to moving the bodies out of town! The extra help provided makes this easier to understand. There are of course the usual aids such as Search Tips, FAQs, and Contact Us and we also encourage comments as well as suggestions for additional information we might include in ChicagoAncestors. While ChicagoAncestors is all about Chicago, the Newberry Library has an additional online source that helps family historians get a better handle on their ancestors movements across the country and through time. The Atlas of Historical County Boundaries is a interactive online site (which is also free and openly accessible) that allows users to see and understand the change in county borders over time. Obviously knowing which county you are seeking a family member in can affect which sources you are going to search. This helps you see the splitting and reforming of counties across the country. •	Topographical maps that describe where our ancestors lived, the names of settlements, towns and cities, the effect of the landscape on the migration routes our ancestors took, the kinds of work they did, and the location of cultural features, including churches, cemeteries, fence lines, boundaries, and buildings. •	Fire insurance maps that help genealogists find records associated with historical property addresses, churches and cemeteries, hospitals, and courts: records that help prove lineage. Fire insurance maps also describe the neighborhoods where our ancestors lived, the location of schools, libraries, theaters and cinemas, and places of business, information that helps a genealogist develop narratives. •	Historical maps that describe political and electoral boundaries, including wards and census enumeration districts; the location of piers and other sites of immigration; routes of transatlantic steamships, subways, canals, roads, and railroads; real estate for sale, and property ownership. In recent years the Library has digitized 20,000 of these kinds of cartographic works, and made them available free online. Researchers can view and download hi-res images of maps using the NYPL Digital Collections portal; search, warp and download spatial asset files using NYPL Map Warper, and help extract, correct and analyze data from historical maps using the Building Inspector app. All of this culminates with the Knight Foundation funded, NYC Space/Time Directory a tool that will make urban history accessible through a set of resources including: a searchable atlas of New York past, an historical location directory and geocoder, a set of APIs and data sets, and a discovery tool linking NYPL collections together in an historical and geographic context. Maps will be used to link to historical photographs of New York City, to city directories, and other records of infinite use to genealogists. The pursuit of family history is much more than names and dates; without the location, we would know very little of our ancestors. 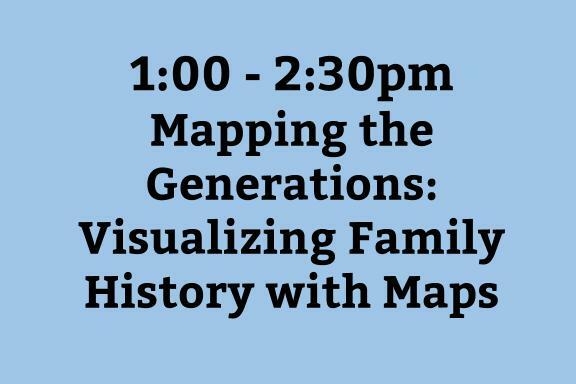 Jen Baldwin will present “Mapping Your Way Through Family History” which explores the creative use of maps of all kinds in order to tell the biographical story of our ancestors, as well as lead us to additional resources and clues to further our research. Three primary categories within cartography will be used as examples: reference maps, thematic maps, and special-purpose maps and will feature a variety of online resources. Organizations such as the United States Geologic Survey (USGS), Old Maps Online, Association of Statisticians of American Religious Bodies (ASARB), the Association of Religion Data Archives (ARDA), Newspaper Map, and more will be highlighted. As more of these tools become available online, and the embedded tools continue to advance, we will discuss the distinct opportunity in today’s research to expand our use of maps in historical research. 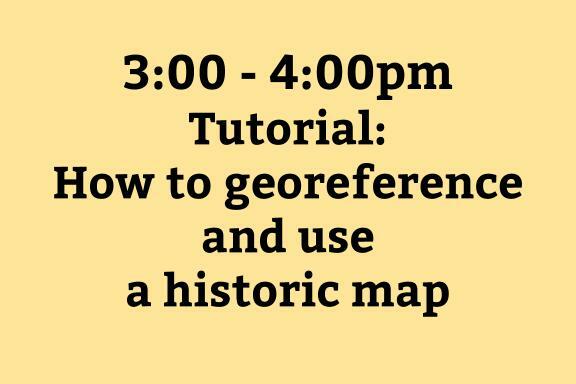 This session will demonstrate how to georeference an historical map using freely available tools, how to bring it into different mapping interfaces, and how to add locations (with additional information) to those interfaces on top of the map.